Buy a Bash Badge or Bash Badge Plus for Smugglers' Notch Resort and ride down the mountain with a few extra dollars in your pocket this year. Mad River Glen's Mad Card deals will have you jumping for joy. Photo by Jeb Wallace Brodeur. 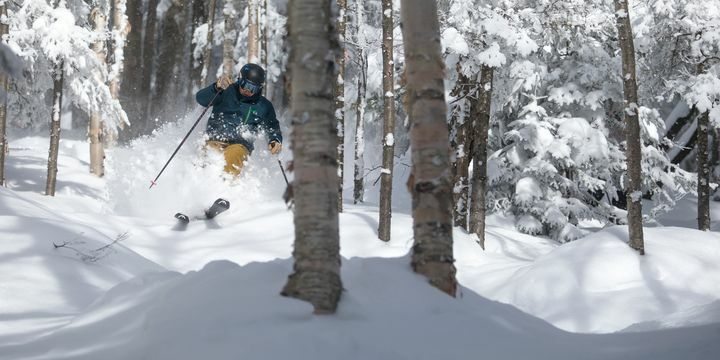 Save on lift tickets at Killington Resort this winter and enjoy pow days like this one! 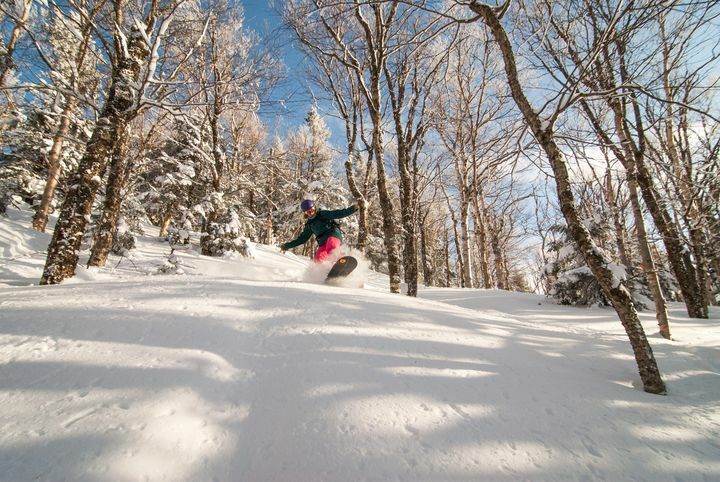 Save big and ski the lift ticket line this winter when you visit Vermont's ski resorts. Each mountain offers unique ways to save time and money when purchasing lift tickets which means more time spent doing what matters most, skiing and riding with friends and family. Save big at Killington Resort when you purchase your lift tickets online at least 24 hours before you want to hit the slopes. Plus, pick up perks like unlimited ticket changes, kiosk pick-up and more. Or skip the line and head right to the lift for up to 50% off with the Killington Express Card, recommended for those that plan to ski or ride four or more days, but not enough to warrant a season pass. With an Express Card, you'll save 50% off midweek and 25% off weekend/peak ticket rates every time you hit the hill, and get direct-to-lift convenience. Plus, your seventh day is free! 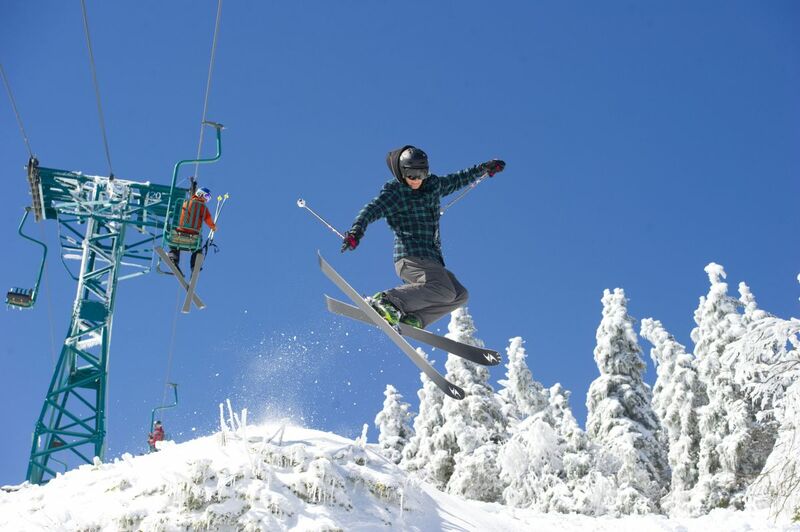 Stowe Mountain Resort is scheduled to open on November 17. If you're planning on skiing or riding Stowe this winter season, purchase your lift tickets at least 48-hours in advance and save 25% off the walk-up ticket counter rate. This offer is valid all season long, including holidays. Hands down, the best deal on snow at Smugglers' is a Bash Badge or Bash Badge Plus. In addition to deep discounts on programs and shopping around the resort, Badge holders get full-day lift tickets for just $25 and half-day tickets for $15, every single day. If that's not enough, the Bash Badge Plus also gives you free access to the mountain from opening day until December 15 and again from March 12 until they close. The process is simple. Purchase your Badge and bring to any ticket window to get your deeply discounted lift ticket. Purchasing advanced tickets online at Sugarbush can save you up to 50% on window rates. Day-of guests can still save 10% on tickets by purchasing online prior to getting to the ticket window to pick up their new SugarXpress RFID card, even if they're standing in the ticket line when they purchase. 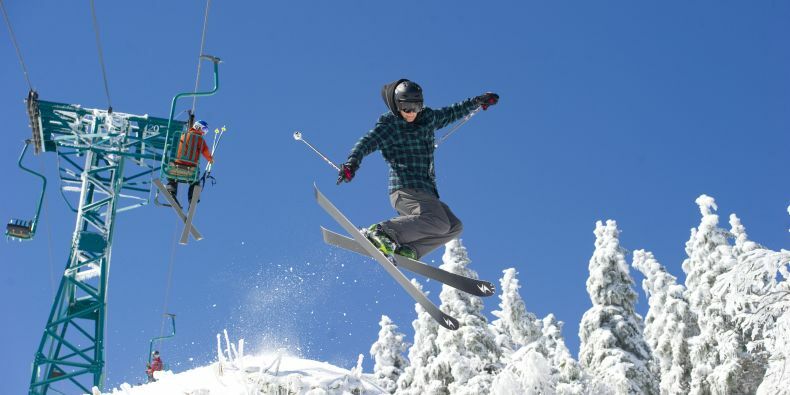 Skiers and riders will save up to 60% and sometimes even more, when they purchase tickets in advance at stratton.com. The earlier they buy, the more they save but online tickets are always available up to 24 hours before arrival. 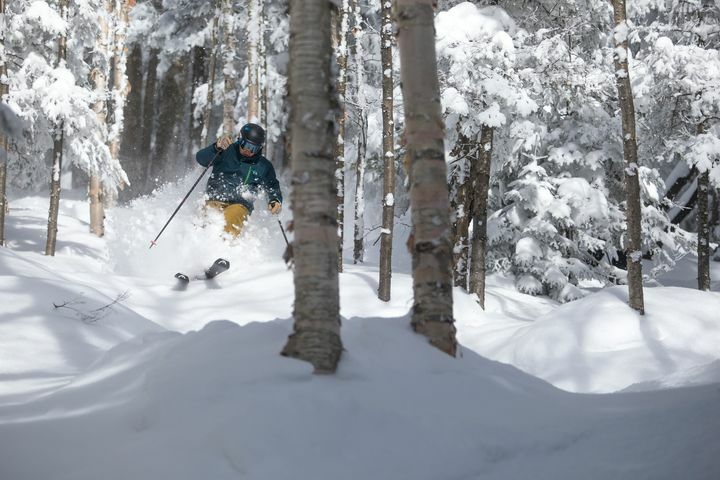 Another way to save time and money is Stratton's Flex Pass, which includes three lift tickets valid any day – even holidays – for only $229 with the fourth day for as little as $69 and the fifth day free. The pass scans at the lift so no need to stop for a ticket, and includes the convenience of resort charge. The best way to save on Bolton Valley All Access Lift Tickets is to purchase in advance online. Tickets are available for every day of the season, and as long as guests purchase at least one day in advance they will save over the retail rate. The Powder Pass is a card loaded with 5 lift tickets for just $199 for adults and $149 for youth, college students and seniors. The card holder is able to use the tickets any day this season, with no blackout dates, and multiple tickets may be used in one day, allowing the guest to treat friends and family to a day on the slopes. Powder Passes are on sale through December 10. Mad Cards are far and away one of the best lift ticket values of the season. When you purchase one you get three day tickets for only $169. That's only $56 for each epic day at MRG and represents a whopping 37% discount off the regular day ticket price. Oh, and by the way, they are totally unrestricted and transferable, too. This means that anyone can use them any time this season so even if you only plan to come up and ski one weekend this winter Mad Cards will help you save. With lift tickets ranging from a half-day to 5 consecutive days on the mountain, as well as beginner specific options, there are many ways to Jay. See if you're eligible for one of their reduced fairs and enjoy more snow this winter. Lift tickets for the 2017-18 season will be released for sale soon. Purchasing an Okemo Real.Easy Card is like joining a not-so-secret savings society. RFID technology has made all the difference for Okemo skiers and riders. The cost of lift access at Okemo includes a durable, plastic card with a radio frequency identification chip embedded. When carried in a jacket pocket, it provides direct-to-lift access (no stop at the ticket window) and smooth sailing through lift gates equipped with RFID scanners. The best part is that Real.Easy cardholders start saving on lift access with each subsequent purchase when they reload their cards online at okemo.com. Online pricing and quantity of tickets vary by day, so the more you plan ahead, the more you can save. Saving on lift tickets is super simple when you pre-purchase your Bromley lift tickets online. Access deep discounts, up to 50% off window rates and keep in mind, the earlier you book the better – online ticket rates increase daily as your visit to Bromley gets closer. Magic makes winter affordable for purchasers looking to buy day tickets right up until the day before they arrive. And the earlier they buy online the greater the savings. Also, any non-holiday, non- powder Thursday, Magic "throws it back" with 80s prices--$29 tickets. Take advantage of Carpool Fridays, non-holiday, non-powder Fridays where up to 4 people in the same car can ski and ride for $199. Purchase the Throwback Card for $139 and get day tickets all year long, no black outs for just $29 at the ticket booth window.